In light of the Paris attacks that immediately followed the bombing in Beirut, this week we will take a closer look at the constant renegotiation of the balance between our personal rights and individual freedoms, and the need to restrict civil liberties to protect the whole Australian community. It is often after events like the one in Paris, the shooting outside Parramatta Police Headquarters last month and in the Lindt café last year that we start to again look at renegotiating the balance between our rights and liberties. We don’t have many rights in our Constitution and for many years we have debated whether we need a Bill of Rights (you can read an article by former Justice Michael Kirby that reviews the arguments for and against a Bill of Rights in Australia here). The writers of the Australian Constitution understood that individual rights are rarely constant. As such, rights in Australia are protected by legislation and common law, which are much more easily changed than constitutional protected rights. So, what has happened recently? When we started that process of control orders we asked the question: so what do we do with this university of terrorism, which is what Syria and Iraq is? We've got people going there and coming back. We know who they are and they do in Europe too. So ... you actually need to make some compromise in terms of usual civil liberties. The take-out message [from Paris] for me is that the response, the use of control orders, needs to be much stronger. In a modern, liberal democracy that's about the only thing you can do. In Australian these control orders have only recently been changed in response to the Parramatta shooting. After this incident committed by a 15 year old outside Parramatta Police Headquarters, legislation was introduced to lower the minimum age of control orders from 16 to 14. However, Mr Wilkins believes we should go lower again to age 12. It is important that at times like these we carefully consider this delicate balance between freedoms and liberty and ensure that the laws don’t go too far one way or another. These considerations need to look closely at whether the new laws will actually do what we want them to do. For instance, does the lowering the minimum age of control orders from 16 to 14 make the community safer? Would lowering them to 12 make us safer again? You might then ask, if safety is our main concern, why have a minimum age at all? It is essential we all ask these questions, because once rights are taken away, they are rarely returned. Do control orders make us safer? There are experts who argue that control orders do not make the community safer. Former independent national security monitor Bret Walker SC recently recommended abolishing them, as there was no evidence they were making the country safer and they require larger amounts of surveillance. Every time there is a terrorist act, governments immediately reach for more legislation and more powers for intelligence agency. Australia has more counter-terrorism laws than pretty much any democracy on the planet... [and] all of that without the human rights safeguards that every other democracy has. When he says “without the human rights safeguards that every other democracy has” he means a legislated or constitutionally protected Bill of Rights. Some would argue there is no end point for our delicate balancing act and that if the State and the people agree that certain rights should be given up, then there is no protection by a Bill of Rights that says “this is where the laws must stop”. After the Lindt Café siege last year, stricter terrorism laws were implemented. The coronial inquest into this event, which reconvened this week, is considering whether Government agencies could have done anything to prevent this attack. With time behind us, we now have a chance to look back and see if the event was preventable with the laws available at the time. This week the inquest heard that Australia’s national security hotline received 18 calls and emails about Man Haron Monis’s Facebook page less than a week before the siege. Should ASIO have acted on these communications? Do people really mean what they say when they threaten violence on social media, or even in person? Will the new laws introduced after the siege force agencies to act faster to complaints made to the national security hotline? Or were the old laws sufficient enough that this should have happened at the time? Is freedom of speech endangered if threatened violence is taken more seriously on social media? Can the new laws ensure an event like this won’t happen again? What personal liberties will we have to give up? These are the questions our legislators will have to answer. In response to terrorism, data retention laws were introduced in Australia last year. These laws force telecommunications providers to store Australian’s metadata for two years. Government agencies can then access this data. Depending on the level of the agency they can just ask for it and the telecommunications agency must give it to them. Metadata is hard to explain and without really understanding, we’ve given up a lot of liberties. Perhaps it is worth it, but we do need to look closely at what we as a community have given up. Recently at a lecture organised by the Sydney Democracy Network, the controversial Julian Assange was asked about the new data retention laws in Australia and the role of cryptography and secure communications. He was then asked if people don’t have anything to hide, should they bother taking the precaution of secure communications. His answer was very interesting. There’s not many journalists….there are not many human rights activists, there are not many politicians, but these are critical elements that keep a society in equilibrium. If these critical elements can’t function. Then you have something to fear. It’s not simply about you. I have nothing to fear is a very selfish statement. What about all the other actors in society that keep society healthy for you. If you eliminate their ability to operate then you are going to live in a society even you don’t like. You’ll live in a society even members of intelligence agencies don’t like. Even the elites and even the establishment won’t like that society. Now there might be some short term benefits, but even they won’t like that society. So, the protection and giving up of liberties can be quite selfish. You might say if it’s not my liberties being taken away, why should I care? But what about when it is your liberties being taken away next? The actual scale of information that is now able to be collected by Government agencies is almost unfathomable. Australia’s data retention laws collect more information on every single person in Australia than the Ministry for State Security (Stasi) collected on East German targets. It has been reported that the 15 year old gunman in Parramatta was not on any police or intelligence radar, so would not have been a candidate for the new control order legislation. The reason terrorism is so threatening is because terrorists are unpredictable. We don’t know what is going to happen and no matter how much we tighten the laws, we can’t prevent every illegal action. “Thou shalt not kill” has been around for centuries and one woman a week is still being murdered by her intimate partner in Australia. 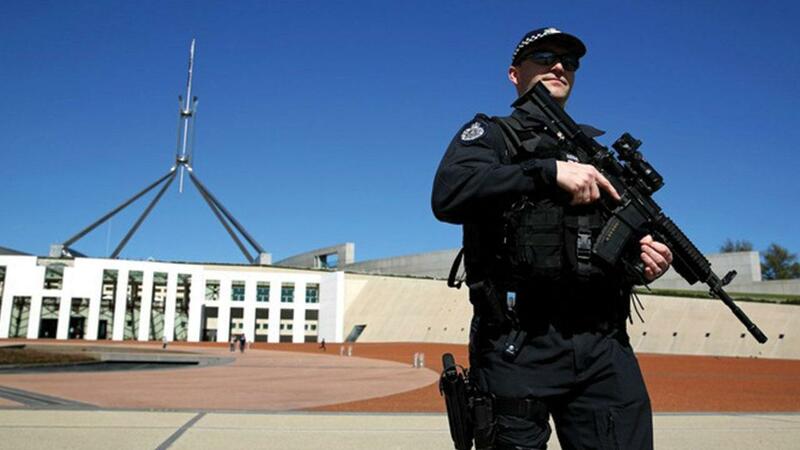 ASIO and the police in Australia have called upon the federal Government to work on social cohesion as a terrorism prevention method. They met with other like-minded leaders last month at a summit discussing the growing terror threat. It is hoped that through our leaders talking, new laws will achieve community support and harmony.